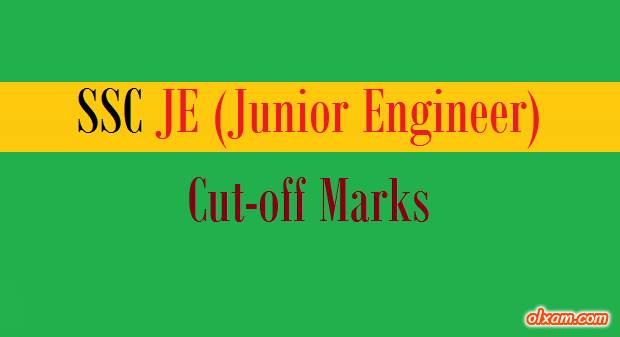 SSC JE Cut-off Marks – (2013-2018) – Staff Selection Commission(SSC) conducts Junior Engineer(JE) Examination every year for various posts of different-different departments of Government of India. Large number of candidates appears for this examination, nearly 3 lakh candidates every year. SSC JE exam is conducted for various posts of Civil, Electrical and Mechanical engineering stream. Staff Selection Commission(SSC) conducts Junior Engineer(JE) Examination for Civil, Mechanical, Electrical, Quantity Surveying and Contract posts. Here you can check SSC JE Exam Cut-off marks of previous years. It will help SSC JE aspirants in their SSC JE exam preparation. Using below list candidate can check how much marks atleast they require in order to qualify SSC JE paper-I and paper-II exam for upcoming SSC JE exams. Here using below list you can check SSC JE Exam Cut-offs of previous years.